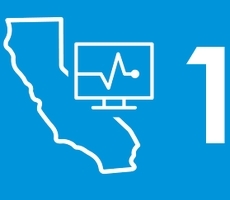 Blue Shield of California advocates for the electronic sharing of patient records among care providers. It's what health care professionals call "interoperability." The aim is to help providers access information to give the best possible care to their patients and improve patient experience, while reducing total cost of care. 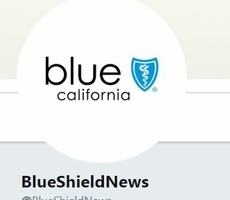 This week, Blue Shield signed on to a letter to the administrator of the Centers for Medicare & Medicaid Services to advocate for systems and clear any regulatory hurdles to encourage safe, privacy-protected digital record keeping. Blue Shield remains steadfast in its commitment to bringing health care into the digital age, which includes its collaboration with Manifest MedEx, the largest nonprofit health information network that facilitates the secure exchange of 11 million patient claims records and 5 million patient clinical records for more than 200 participating partners. To download a copy of the letter CMS, click here. the full potential of health care data and technology. change to a system that has been too slow to evolve in a way that puts the needs of patients first. seamlessly access and share their digital health information. infrastructure) have not resulted in universal hospital adoption of this standard of care. a 95 percent jump in ADT notification use from 2016 to 2017. (for example, required discharge instructions via electronic means if requested). three use cases and recommend the following. Transfer of Patients to Another Health Care Facility: The hospital must send necessary medical information to the receiving facility at the time of transfer, and must send a real-time electronic notification of the transfer to the practitioner(s) responsible for the transferred patient’s care. requirement. Existing community networks are preferred where available. including through a designated third-party tool of their choice if desired. national health care data and IT goals. age. We thank you again for your leadership and bold action to realize meaningful change.